The Wall Street Journal's wine writer Letti Teague has tackled the problem of counterfeit wine in a fascinating couple of articles that are well worth the read for anyone attracted to the idea of wine as an investment. Would You Know a Fake Wine If You Tasted It? On a visit to the cellar of billionaire collector and anti-counterfeiting crusader Bill Koch, Lettie Teague had the rare opportunity to taste legendary wines alongside cunning (and very expensive) fakes. 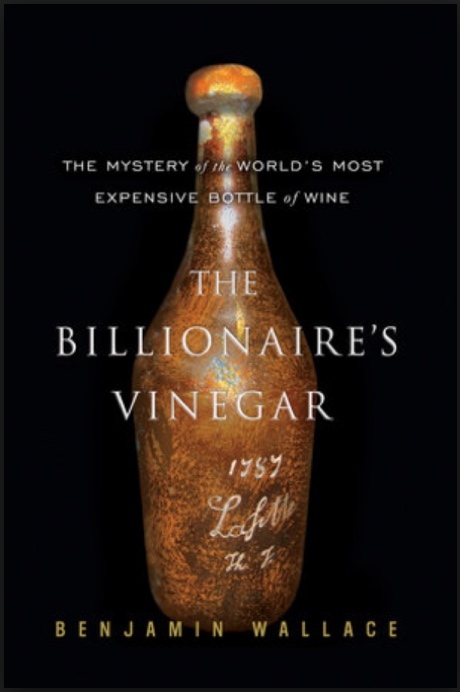 Mr. Koch has discovered around 440 counterfeit bottles in his collection to date, and he allowed that there “might be even more.” He recalled one of his earliest fake-wine encounters: a 1921 Château Pétrus. “ Robert Parker gave the wine 100 out of 100 points,” he said, referring to wine critic Robert M. Parker, Jr. Mr. Koch had to have the wine. He paid $33,150.63 for a magnum. When he opened the magnum at a dinner with friends, he found it did not match Mr. Parker’s description. “It tasted like the cheapest wine from California,” he said. “It tasted like moose piss.” (That’s a favorite Koch term for a really bad wine.) He made it his mission to find out if his bottle was, in fact, a fake, and how many other fakes might be lurking in his collection.